Autumn is the most beautiful season, don’t you think? The pop up of all colours fast changing from greens to yellow and the all the oranges, golds and browns. My fellow bloggers, chatted last week about the evening with movies and this what makes autumn special. The moment when you can just lie in in your bed, with hot chocolate in your onesie or favorite pyjama, watch movies. I tell you a secret, I won’t enjoy until my home is spotless clean and have a my favorite food in oven. I usually clean the house, cook an then re-arrange some furniture or displayed accessories. I have then the most urge to change something, it always inspire me when I am the most relaxed at my home. I have checked what Graham and Brown is up to this season and I have found their stunning metallic collection, called Artisan. Graham and Brown has developed a new technology to print on this fibrous material so we can please our eyes with this delicate patterns and lines. I love the damask pattern, the Gloriana motif is such a artisan masterpiece, with its handmade finish. 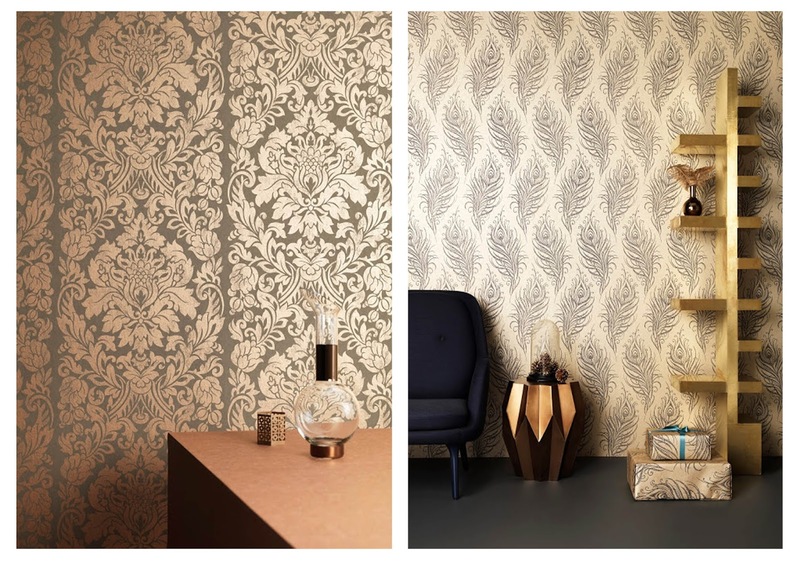 Artisan collection is full, of delicate patterns, with metallics backgrounds, with plenty of styles and colours- just like autumn, you will be surprised. If you want to add a little sophistication to your home this season check the Graham and Brown beautiful collection. I adore this feather pattern! Such an elegant one! Coppers and bronze works so well with this! 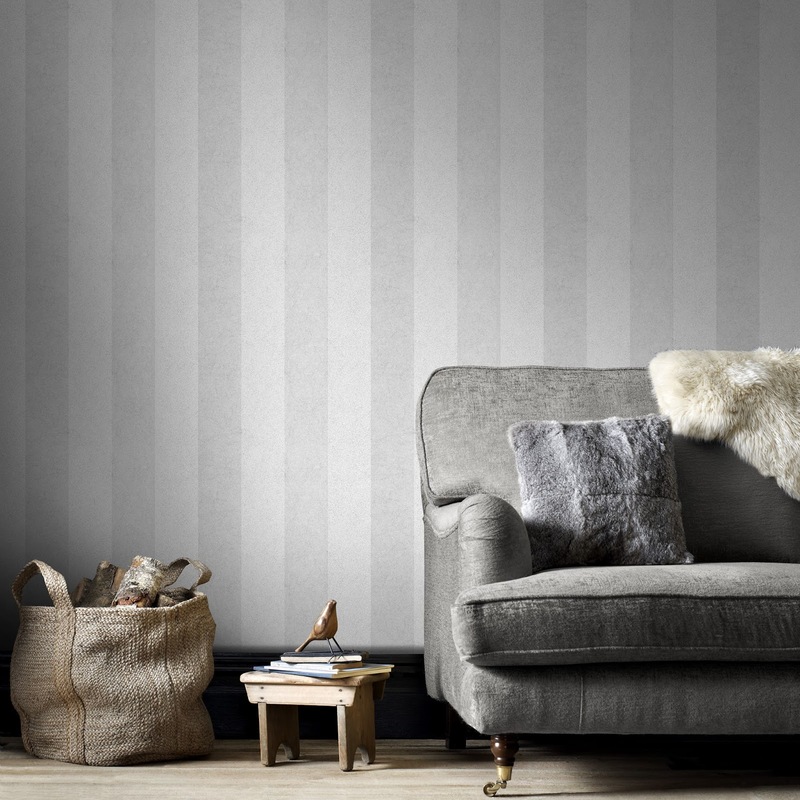 Not only copper but this silver stripes looks very elegant as well. You can perfectly style it with concrete, greys and wood. Our next stop would be Farrow and Ball. 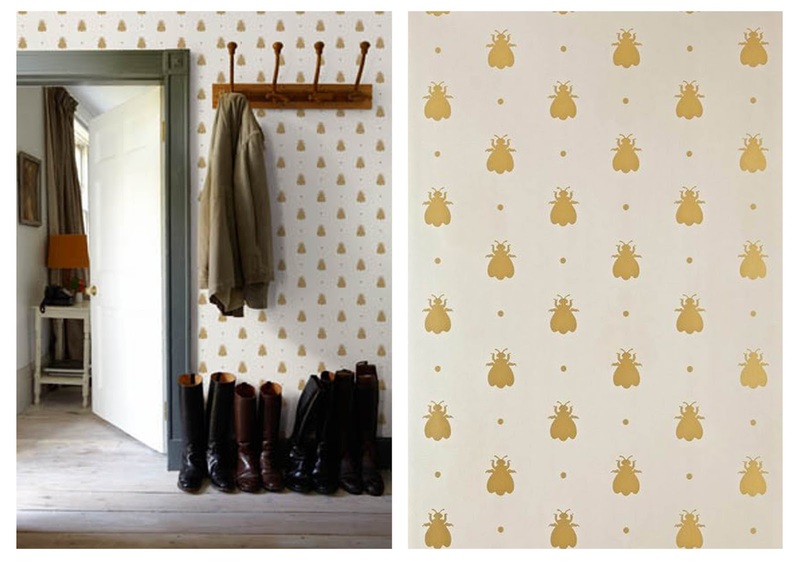 I am absolutely in love with these handcrafted wallpapers! They are using their paint instead of an ink! Farrow and Ball will take you for a little journey through their factory! You have to watch it! So inspiring! I have also looked into Graham and Green furniture collection. and look what beauties I have found. I know metallics where more popular last year but I think this autumn they come back to us again! It makes me really happy! I love metallics, autumn or not. I really like these wallpapers and I'd love the grey sofa. I am loving the metallics specially the copper products! The kitchenAid copper is on my list! Wow, I love the sideboard. So many amazing pics. I love all the wallpapers too. The bumblebee wallpaper is so cute! I do love metallics! I love all of the metallic effect wallpapers, although I don't think I'd be brave enough. Also that Lamp is divine! I love the concrete and brass lamp I think it is gorgeous and the feather wallpaper has taken my fancy too! They look gorgeous, the sideboard I could happily live with! Great look! I am loving the idea of metallics for autumn..they look fab! I love autumn colours, it's definitely my favourite time of the year. Metallics are a favourite of mine and I love the chevron poufee. Those wallpapers are just gorgeous, I really need to decorate! I am loving the metallic designs you have going on her. Great decor ideas.